The EMA clearance for this facility has come after the USFDA cleared this facility last month. The company is seeking approval for its biosimilar pipeline from this facility. 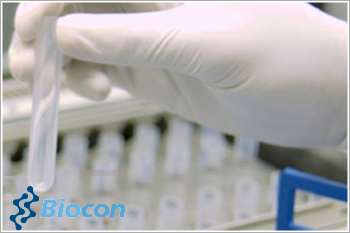 Biocon has said that its sterile drug product manufacturing facility in Bangalore has received EU GMP certification. This facility was inspected by the European regulatory Agency (EMA) in March 2018. This facility is critical for Biocon as several Biosimilars are filed from this facility and it will be used to manufacture several Biosimilars. Recently, this sterile drug product manufacturing facility has received USFDA clearance. This plant had received form 483 observations from USFDA in April/May 2018 inspection. The USFDA held a pre-approval inspection for Pegfilgrastim at this facility. Pegfilgrastim is branded as Fulphila and received approval in US in June, 2018. It is due for launch in the US market. Biocon is also seeking EMA approval for Pegfilgrastim and Trastuzumab Biosimilars. Last year, company had withdrawn applications for these Biosimilars in response to an audit conducted by EMA at Biocon’s drug product facility. Later, company resubmitted these two Biosimilars for marketing authorisation in Europe to EMA. Biocon is likely to benefit from the Mylan-Lupin partnership for Enbrel biosimilar which is also seeking approval for this biosimilar in Japan and Europe. We are positive on Biocon and see 25% upside at the CMP. We have a price target of Rs789. Read IIFL view on Biocon.